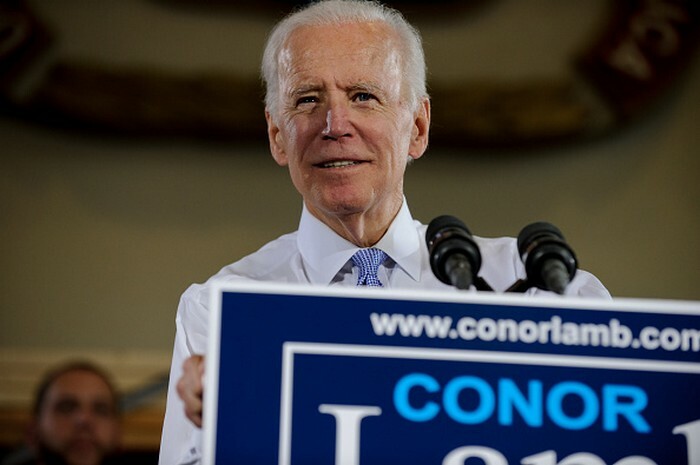 The former vice president - Joe Biden, stated that "If we were in high school, I’d take him behind the gym and beat the hell out of him" about president Trump who fought back on twitter calling his rival "weak, both mentally and physically". Yes, you read that right, and the fight has nothing to do with a political campaign. 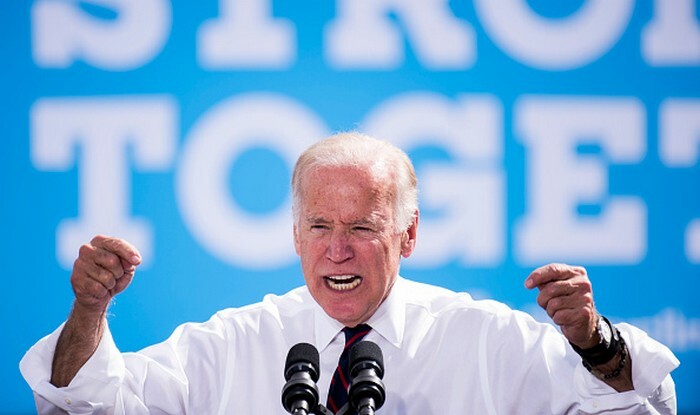 The current president of the USA and the former vice president stated that they would fight one another after Joe Beiden's comments in a rally against sexual assault in the University of Miami. Beiden's 'threat' was on the semi-apology that Trump gave after his comment ‘I can grab a woman anywhere and she likes it,' was leaked in a 2005 from an Access Hollywood video. Trump had previously said that it was "locker-room talk", but Beiden wasn't having it. 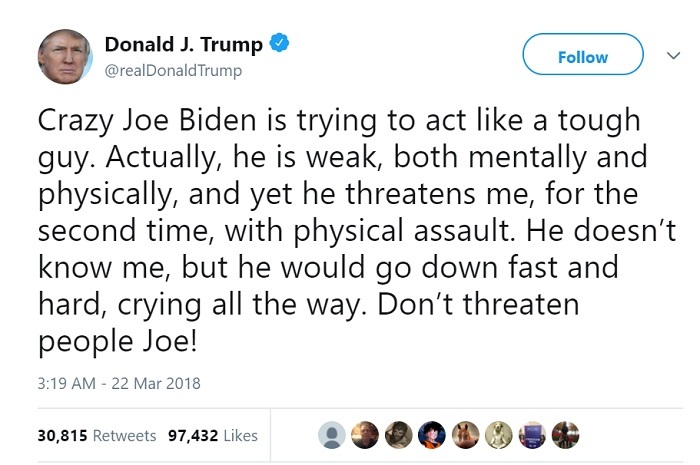 After Beiden spoke in the Miami rally, Trump went to twitter saying "Crazy Joe Biden is trying to act like a tough guy. Actually, he is weak, both mentally and physically, and yet he threatens me, for the second time, with physical assault. He doesn’t know me, but he would go down fast and hard, crying all the way. Don’t threaten people Joe!" This isn’t the first round for these two that got into fights during the 2016 presidential campaign where Beiden said he wished he could take Trump “behind the gym.” It is speculated that Joe Beiden will run for president in 2020 for the democratic party, so maybe this is just a preview of what's to come.